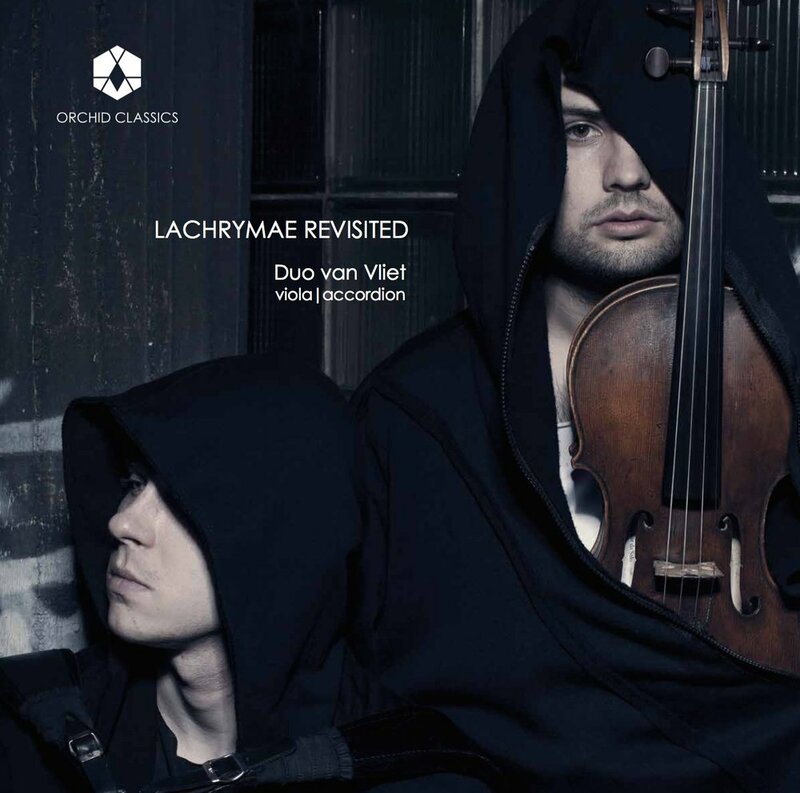 Lachrymae ReVisited is released by Orchid Classics. Available on iTunes, Amazon, Spotify, Presto Classical, and others. Despite taking our name from Don van Vliet (Captain Beefheart) and his madcap music, our debut album on Orchid Classics is, in fact, quite refined. Only on occasion do we allow a glimpse into the crazed modernisation to which our moniker alludes (something we will explore more extensively in future projects): rather, this album is an introduction to, and an overview of, what our unusual duo combination can do. History has not been kind to either of our instruments: the butts of jokes, of prejudiced dismissals, it is only relatively recently that we have begun to shed the dingy grey of duckling-hood. We are not showy-but-insecure superstar-violinists, or locked-in-a-darkened-room bulletproof-pianists: we are something altogether different, able to offer up sounds that they could only ever dream of producing. Of course, this instrumental late blooming means that the great composers of old did not bestow on us much in the way of a back-catalogue. This lack of a solid canon of verified masterpieces presents its own obvious challenges, which is why we dedicate ourselves to commissioning the composers of today to write for us. This album includes three such commissions — two being solo works and one being a duo work, to introduce us individually as well as in a partnership. And aside from believing that too much of a single style in a single programme is a recipe for boredom, we enjoy finding music from across history that we think works in our combination. Besides, John Dowland probably never knew of the possibility of a viola and accordion duo. Why else would he have stuck with the lute?